Brain size and smarts are, to some extent, genetic — and now, a team of more than 200 researchers has uncovered specific genes that are linked to both brain volume and IQ. Though scientists have suggested bigger brains are "smarter," this study is the strongest case yet for a genetic connection to brain size and to IQ. Of course, brain size is not 100 percent correlated with a person’s intelligence, and other factors, including connections between brain cells and even a person’s experiences, play roles. "We found fairly unequivocal proof supporting a genetic link to brain function and intelligence. For the first time, we have watertight evidence of how these genes affect the brain," said lead researcher Paul Thompson, a neurologist at the University of California, Los Angeles, School of Medicine. The international research team pooled brain scans and genetic data from around the world as part of a collaboration known as ENIGMA (Enhancing Neuro Imaging Genetics through Meta-Analysis). 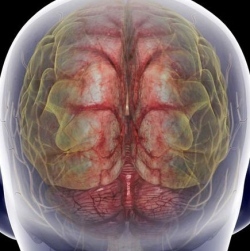 They scoured the data for single genes that influence disease risk as well as for genes linked to brain-tissue atrophy and brain size, said lead researcher Paul Thompson, a neurologist at the University of California, Los Angeles, School of Medicine.